I've always loved persian rugs. They are currently quite trending, according to al the pictures on Pinterest and in magazines. 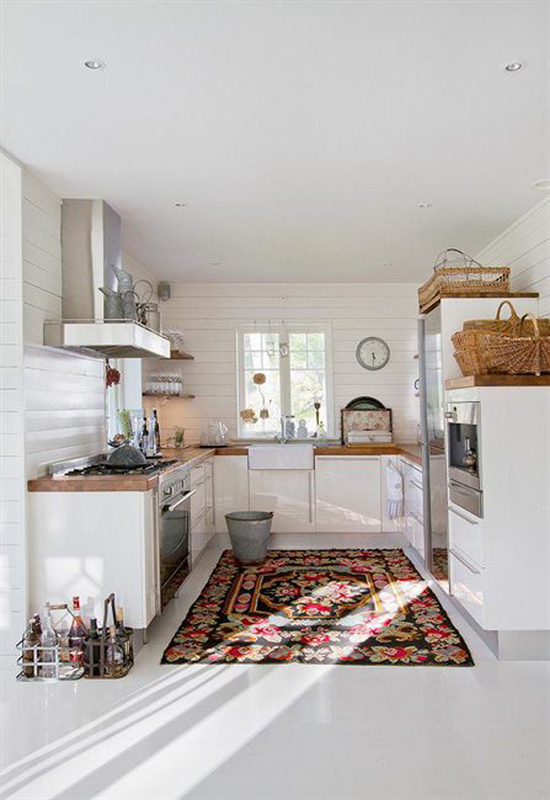 But now I've spotted something new: kitchen's with persian rugs. 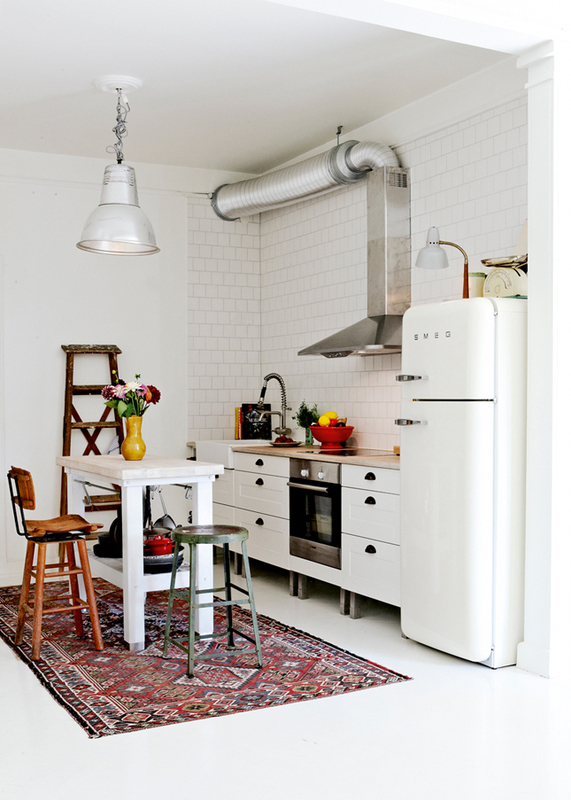 Never thought that it would be very practical, but it looks so good combined with a white kitchen.